CORVALLIS, Oregon – The Trojans of Little Rock are no longer just happy to be here. That would be Gonzaga. The teams meet Saturday at 12:30 p.m. in a first-round game at Gill Coliseum on the campus of Oregon State University. The winner will face No. 4 seed OSU or No. 13 seed Boise State on Monday for a chance to advance to the Sweet 16 in Albany, New York. The 12th-seeded Trojans (21-10), the Sun Belt Conference’s regular-season and tournament champions, are confident. “We’ve proven we can beat Power 5 schools,” said Foley, whose club knocked off Georgia Tech in a first-round NCAA game in 2010. The Trojans did it again in 2015, upsetting Texas A&M. “Maybe this year we can do it again,” said Foley, now in his 16th season at Little Rock. But first, the Trojans must get past No. 5 seed Gonzaga. 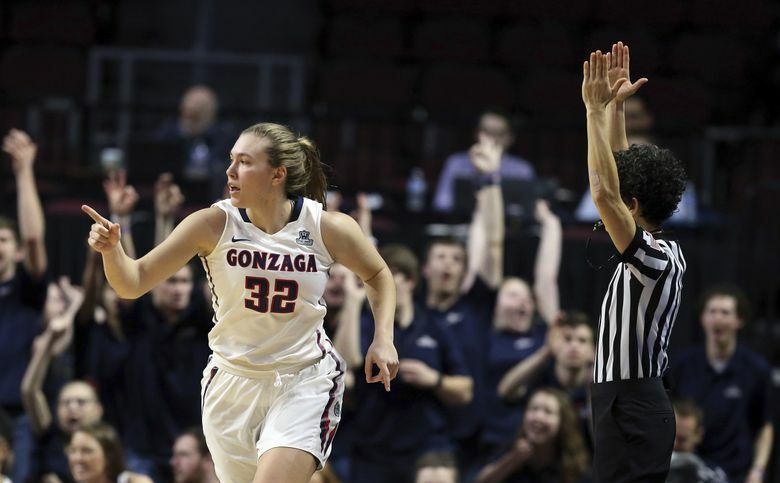 They probably won’t do it with 3-point shooting, unless the Zags forget about sophomore guard Tori Lasker, who shoots 40.5 percent from beyond the arc. No other Trojan is a big threat from outside, and only five teams in Division I make fewer 3-pointers than the Trojans’ average of 3.2 per game. An underdog as usual, the Trojans expect to stay in the game the old-fashioned way, with strong inside shooting, physical play and solid defense. They’ll do that primarily through the DeGray twins, senior forwards Ronjanae and Raeyana, who are in the postseason for the fourth time in as many seasons. After helping the Trojans reach the WNIT in their first two years, they won back-to-back Sun Belt Tournament titles, earning an automatic bid into the NCAA Tournament for the fourth and fifth times in program history. The DeGrays have made 119 combined starts and appeared in 214 total games since their freshman season in 2015-16. Ronjanae DeGray leads the Trojans with 14.6 points and 6.9 rebounds; Raeyana averages 7.0 and 5.4, respectively. The program has been a winner since Foley arrived during summer 2004. The Sun Belt Coach of the Year in five of the last nine seasons, he’s won at least 20 games in 11 of the last 12 years. Including his tenure at Division II Arkansas Tech, the 63-year-old Arkansas native has won 789 games. At Arkansas Tech, Foley went 379-63 with a conference record of 179-20 and a home record of 159-7. His teams won 11 conference championships, two regional titles, two national titles, and one national championship runner-up. Every athlete who has played for Foley for four years has graduated. Little Rock is 2-5 in the NCAAs. A No. 14 seed last year, the Trojans fell to Florida State 91-49 in the first round. The Trojans aren’t afraid of a challenge during the regular season. They faced five eventual NCAA qualifiers this year, including Kansas State, Mississippi State, Texas A&M, Missouri State and Rice.